What this showed us was that Google did not use the AdSense algorithm from the company they acquired in 2003 named Applied Semantics to build paid search. But, it’s been interesting seeing Google achieve so much based on a business model that relies upon advertising because they seemed so dead set against advertising when then first started out the search engine. For instance, there is a passage in an early paper about the search engine they developed that has an appendix about advertising. Currently, the predominant business model for commercial search engines is advertising. The goals of the advertising business model do not always correspond to providing quality search to users. For example, in our prototype search engine, one of the top results for cellular phone is “The Effect of Cellular Phone Use Upon Driver Attention”, a study which explains in great detail the distractions and risk associated with conversing on a cell phone while driving. This search result came up first because of its high importance as judged by the PageRank algorithm, an approximation of citation importance on the web [Page, 98]. It is clear that a search engine which was taking money for showing cellular phone ads would have difficulty justifying the page that our system returned to its paying advertisers. For this type of reason and historical experience with other media [Bagdikian 83], we expect that advertising funded search engines will be inherently biased towards the advertisers and away from the needs of the consumers. 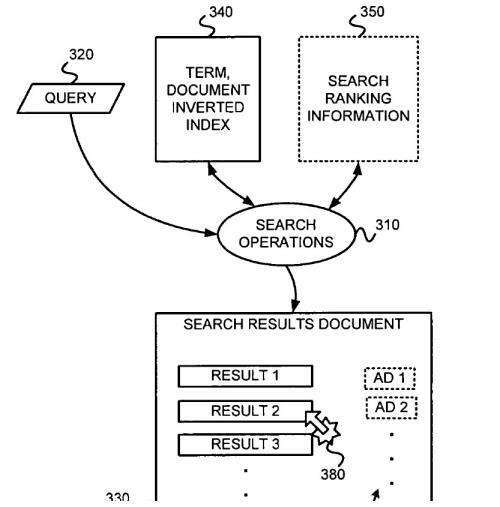 I will continue with details about how this patent describes how they might target advertising at Google in a part 2 of this post. I wasn’t aware of the history of patents regarding targeted advertising. I guess Google has to always walk a fine line to maintain both advertising income and users’ engagement. The search results shall not harm advertisers’ business, but be sensible and useful enough for users to come back for more often. I’ll browse some more in your blog to find other knowledge gems like this. Thank you, Bill Slawski for such an informative post. I’ll start using the resources you gave right away. Really interesting article, especially the abstract part about presenting the relevant iformations. Seems like Google tells us a lot about their algorithm and methods and using that knowledge we are able to predict on which should we focus in the near (and maybe even in the further future). thanks for sharing your information about the google AdSense algorithm and do updating your views it really helpful for digital marketing students. I think that Google and Facebook both make money by pairing user-generated content and personal information with advertising. Thank you, for this post! Next Next post: Does Google Use Latent Semantic Indexing?